As part of UA’s Alabama/Greece Initiative, Prof. Ioannis Xydopoulos visited the Department of Religious Studies just before Spring Break, hosted by REL’s Prof. Vaia Touna. 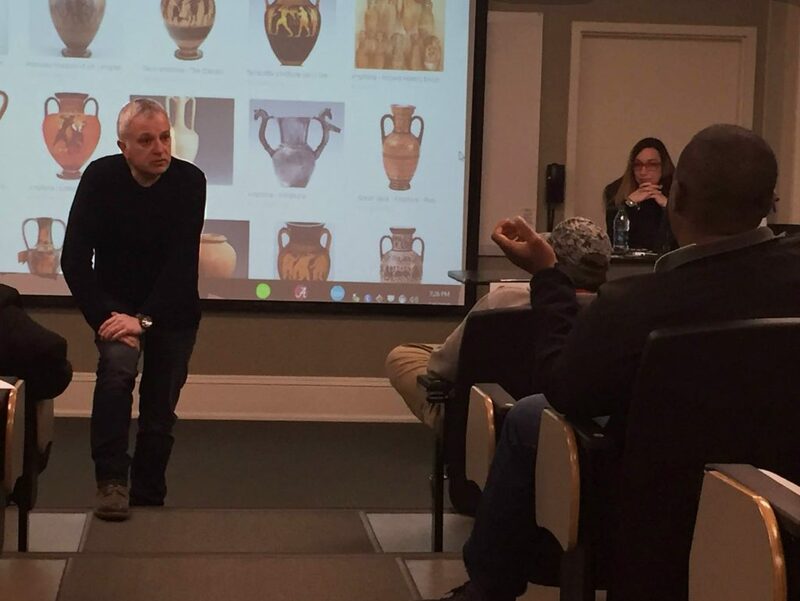 After meeting with students, exploring Tuscaloosa, and guest teaching in one of Prof. Touna’s classes, our visitor from Aristotle University (AUTh) in Thessaloniki, presented his research on issues of ancient Greek identity. 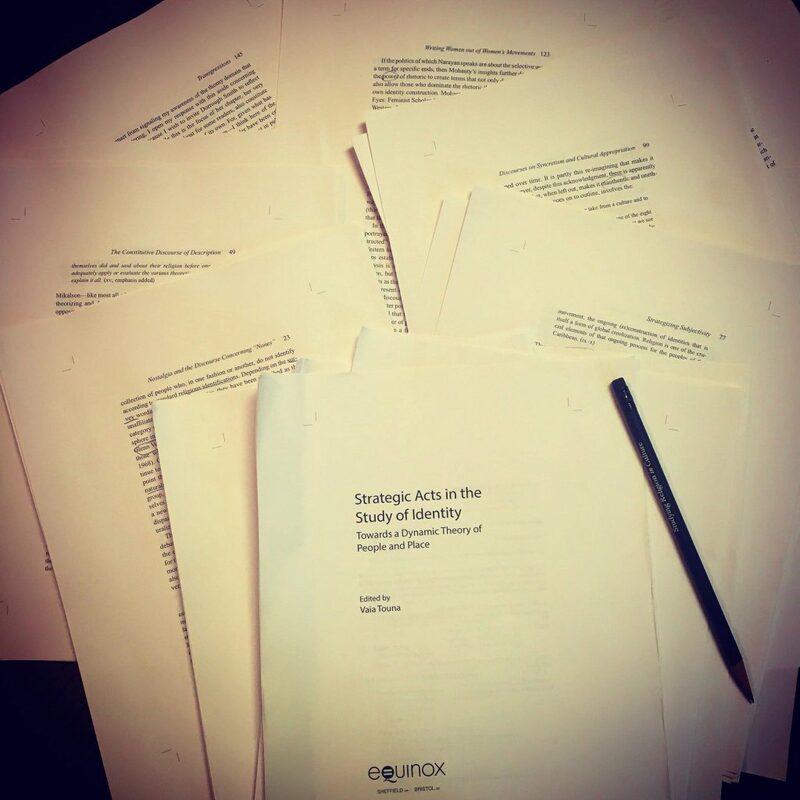 Last week, Professors Steven Ramey and Vaia Touna sat down to discuss their involvement with the Culture on the Edge research group and blog, along with their two book series. 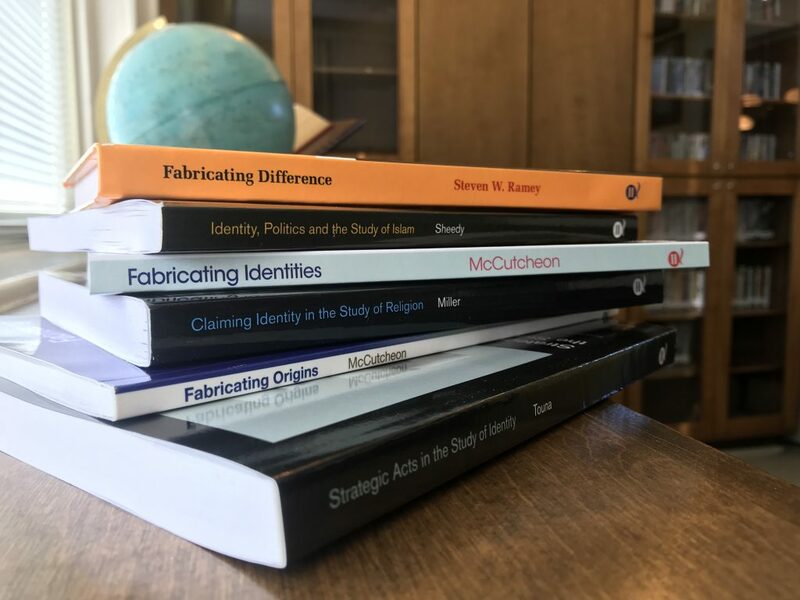 Though the discussion was intended to focus on Prof. Touna’s recent addition to the published series, it naturally led to a conversation on the implications of fabricating origins and identity. 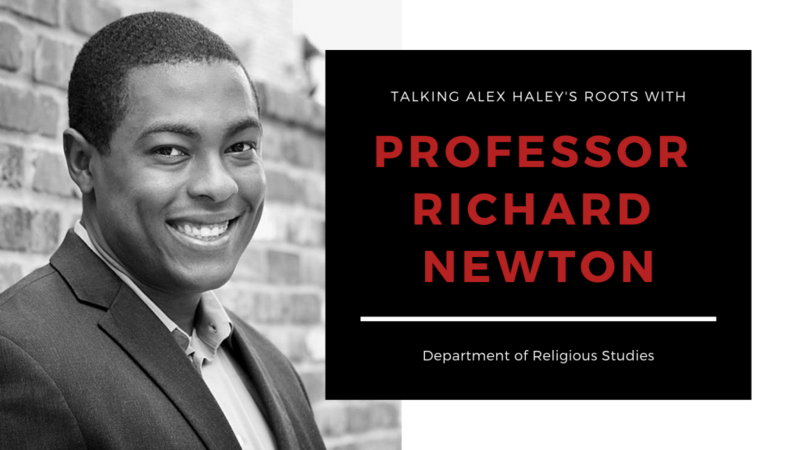 Last week I sat down to chat with Dr. Richard Newton, a faculty member in the Department of Religious Studies who recently joined us from Elizabethtown College in Pennsylvania. Originally from Texas, Professor Newton lived on each coast before making his way to The University of Alabama. This semester, he’s teaching a course on Islam, advising the Religious Studies Student Association (RSSA), and, next semester, will be teaching a graduate course on this history of the field along with an intro to the New Testament.